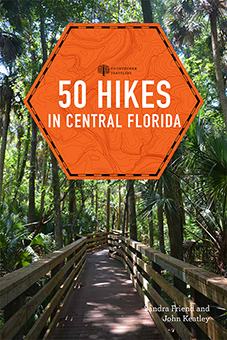 Central Florida | Florida Hikes! 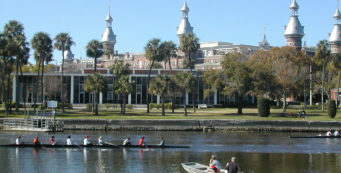 With some of the state’s largest population centers, Central Florida is a mecca for outdoor enthusiasts in the know. 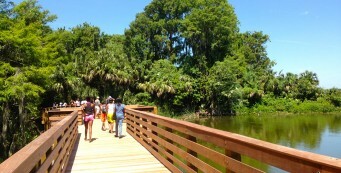 Despite the urban mass in Orlando, Tampa, and St. Petersburg, there are many wild places to explore. 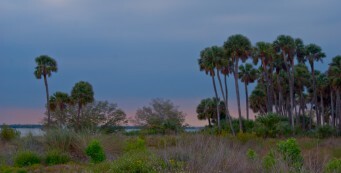 Some are tiny patches inside city limits, others expansive preserves on the outskirts of “civilization.” Thousands of lakes, dozens of rivers, and the vast expanse of Tampa Bay provide shorelines for hiking and launching a paddling trip. Home of the Ocala National Forest, the Cross Florida Greenway, Canaveral National Seashore, and dozens of state parks, this region is prime for planning your next outdoor vacation. 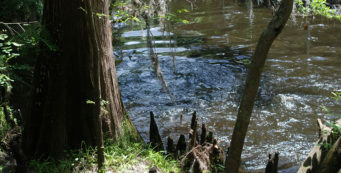 Apopka- Only 30 minutes from downtown Orlando, Apopka has interesting hikes in public lands along the Wekiva River basin and its tributaries, as well as the chain of lakes connecting to Lake Apopka. 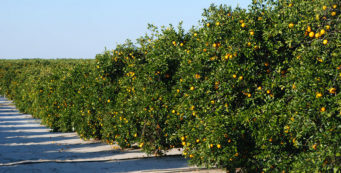 Brandon- A Tampa suburb, Brandon provides a gateway to rural east Hillsborough County and its conservation areas along the Alafia River and Manatee River basins. 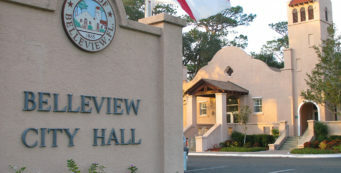 Brooksville- Home to Withlacoochee State Forest, Brooksville is the county seat of Hernando County and the heart of Florida's Adventure Coast. With a growing network of bike paths and plenty of trails, it's a great destination for outdoor recreation. 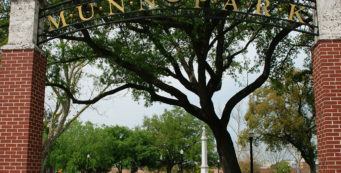 Bushnell- The seat of Sumter County, Bushnell is surrounded by agricultural lands and conservation lands along the basins of the Withlacoochee River and the Green Swamp. 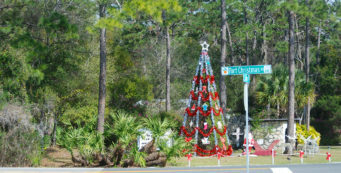 Christmas- Named for the fortress built during the Second Seminole War on Christmas Day of 1837, the community of Christmas sits along creeks that drain towards the St. Johns River. 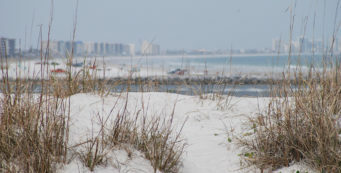 Clearwater Beach- Clearwater Beach is at the northern end of heavily-populated Pinellas County, so although most of the trails are in urban parks, there are some wide open spaces as you get closer to the northern border of the county. 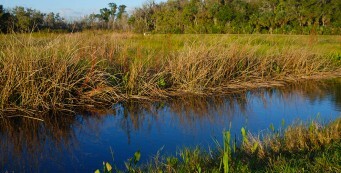 Clermont- At the northernmost extent of the Lake Wales Ridge, the rolling hills of Clermont touch the edge of the Green Swamp. It's at this intersection you'll find interesting places to hike and cycle in state parks and other natural lands. 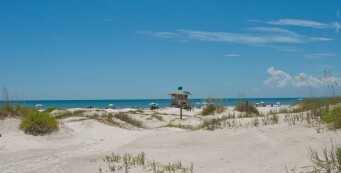 Cocoa Beach- Home of "I Dream of Jeannie" and the best surfing on Florida's Atlantic Coast, Cocoa Beach is a top destination for beachgoers and folks who love to play near the shore. 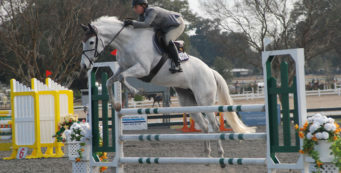 Cross Florida Greenway- Stretching from the St. Johns River near Palatka to the Gulf of Mexico, the Marjorie Harris Carr Cross Florida Greenway is a mile-wide recreational corridor that contains equestrian, mountain biking, hiking, and paved trails. 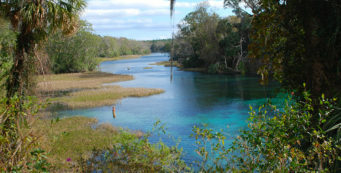 Crystal River- Known for its beautiful springs and as a gathering place for manatees, Crystal River shows off coastal habitats in its many parks and along its waterways. 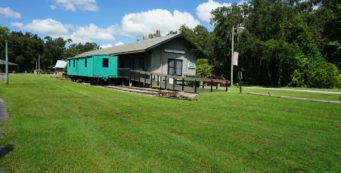 Dade City- Gateway to the vast Green Swamp, Dade City offers easy access to day hikes and backpacking trips in the vast green spaces of Withlacoochee State Forest and water management district lands. 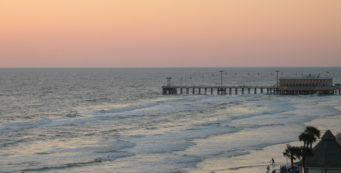 Daytona Beach- Outdoor recreation around Daytona Beach, the most well-known strand of sand in America, showcases both oceanfront natural lands and wilderness areas along the estuaries and pine woods to the west of the coast. 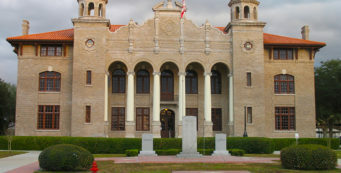 Deland- Set along the St. Johns River, Deland is surrounded by natural lands that protect the vast floodplain forests surrounding Florida's longest river. 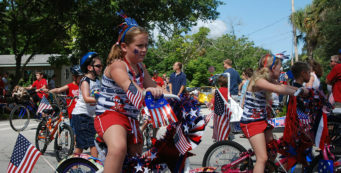 Dunnellon- At the confluence of the Rainbow River and the Withlacoochee River, Dunnellon is an outpost for adventures in the woods and on the water, where the Cross Florida Greenway and Withlacoochee State Trail meet. Frostproof- Edged by expansive state forests and wildlife management lands, Frostproof boasts a large concentration of trails in the southeastern corner of Polk County. 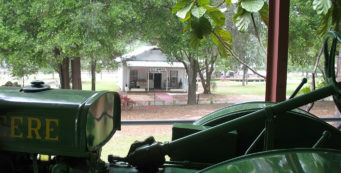 Geneva- The last truly rural corner of Seminole County is anchored by the small community of Geneva, which the St. Johns River loops around on its ambling course north. 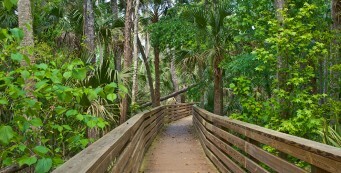 Hernando Beach- There is no beach at Hernando Beach except a man-made one along Jenkins Creek. 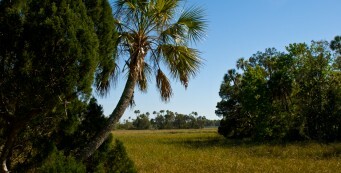 But this coastal community offers paddling, swimming, hiking, and biking along its trails. 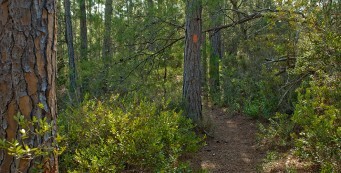 Inverness- Along the Nature Coast, Inverness offers an amazing array of hiking, backpacking, and cycling opportunities in the Withlacoochee State Forest and on the Withlacoochee State Trail. 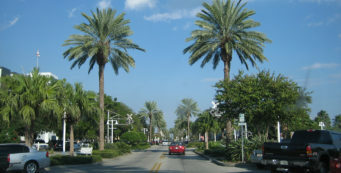 Kissimmee- On the north shore of Lake Toho, Kissimmee is a historic community at the headwaters of the Everglades, the marshes that feed the Kissimmee River. 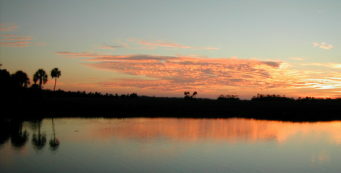 Lake Wales- Sitting atop the ancient dunes of the Lake Wales Ridge, the Lake Wales - Frostproof area in southern Polk County is rich with outdoor recreation opportunities. 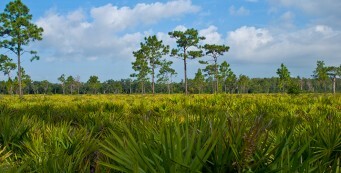 Lake Wales Ridge- The scrubs of the Lake Wales Ridge are one of North America’s most diverse biological communities, with the highest concentration of rare and endangered plants in the continental United States. 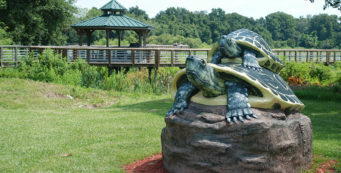 Lakeland- With an array of parks and natural lands and a growing system of bike trails, Lakeland is a hub for recreation along the Lake Wales Ridge and into the Green Swamp. 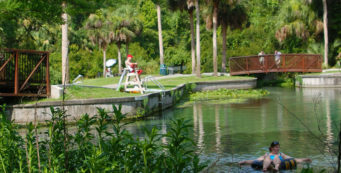 Leesburg- The heart of Lake County, Leesburg is surrounded by the chain of lakes that feeds the north-flowing Ocklawaha River. 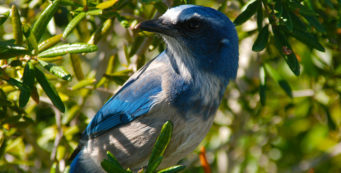 Melbourne- Melbourne is rich in natural lands and parks that invite exploration, including habitats that are the northernmost point for many tropical species like gumbo-limbo. 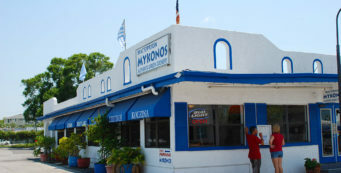 Mount Dora- A nice place to stay for outdoor recreation, Mount Dora spills down a rolling hill to the edge of Lake Dora, with a very walkable historic downtown district. 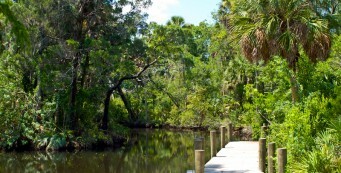 New Port Richey- In New Port Richey, the busy urban/suburban interface in Pasco County has a surprising number of natural lands for recreation tucked away in watershed areas. 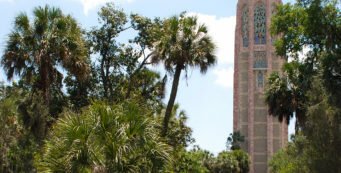 New Smyrna Beach- At the south end of Volusia County, on the Atlantic Ocean, historic New Smyrna Beach is home to Canaveral National Seashore and other diverse recreational opportunities. 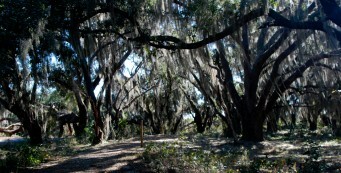 Ocala- Ocala is surrounded by more than 200 miles of hiking trails, including two large segments of the Florida Trail along the Cross Florida Greenway and through the Ocala National Forest. 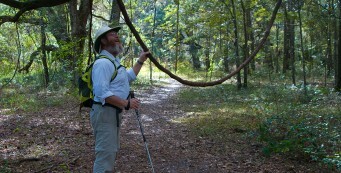 Ocala National Forest- Established in 1908 as the first National Forest east of the Mississippi, the Ocala National Forest is a mecca for hikers as the birthplace of the Florida Trail. 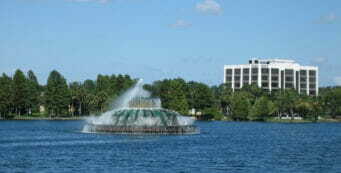 Orlando- Orlando is one of Florida's best places to get outdoors and play, with not only a large quantity of hiking trails but superb quality as well. 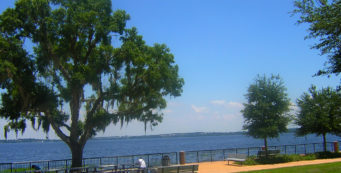 Sanford- Established in the 1870s, Sanford is the county seat of Seminole County and an excellent gateway to outdoor recreation in natural lands on both sides of the St. Johns River. 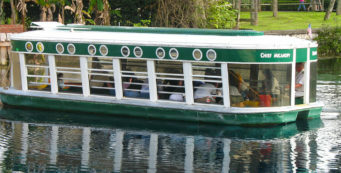 Silver Springs- Florida's original tourist destination, Silver Springs is both one of the world's largest springs and the name of the community that grew up around it in the 1800s. 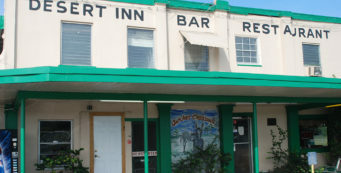 St. Cloud- Once the heart of frontier Florida, St. 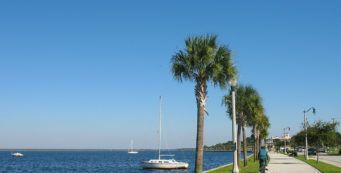 Cloud is a bustling community to the east of Kissimmee with an expansive lakefront on East Lake Toho. 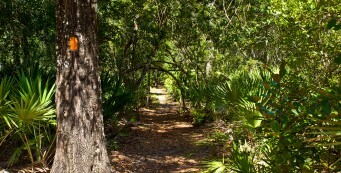 St. Petersburg- Located at the south end of Tampa Bay, St. Petersburg's gem is the Pinellas Trail, but there are also many hikes that are relatively short as well as paddling opportunities. 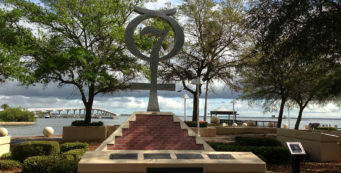 Titusville- A central point for outdoor recreation along the St. Johns River and the Indian River Lagoon, Titusville is surrounded by natural lands with hiking, paddling, and bike trails. 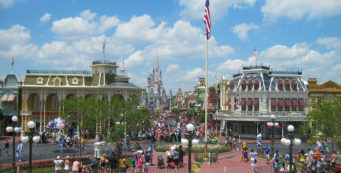 Walt Disney World- Millions of visitors come to Florida each year to visit Walt Disney World. Here are our picks of the best day hikes within an easy drive of Walt Disney World. 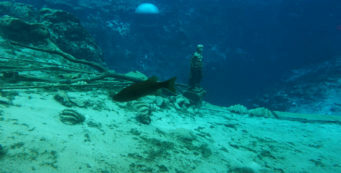 Weeki Wachee- With tens of thousands of acres of conservation land along the Gulf Coast, Weeki Wachee is a central launch point for adventure on the water and in the woods. 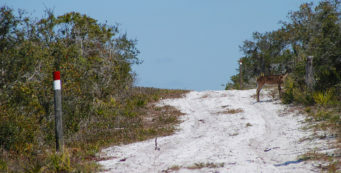 Yeehaw Junction- A crossroads at the southeastern corner of Osceola County, Yeehaw Junction is best known for its unusual name, which springs from Florida's frontier past.